The technology revolution has changed our lives in ways we could not have imagined a few years ago. It has become so seamlessly integrated into our activities that it seems more or less invisible in our daily lives – thanks to fintech and vast improvements in experiences offered by payments technologies. We can exit an Uber without paying, we can order books with the press of a button, we can walk out of certain Seattle-based retail stores without paying, and we will soon be able to send money to friends by just talking to our virtual assistant. It feels like technology has taken over every single aspect of our lives, but there are huge gaps still. For example, dining out in a busy restaurant can still be a frustrating experience, especially through the waiting process from the time you arrive and getting a table, through to getting the menu and ordering, through to waiting for the bill and paying for it. In fact, 25% of diners said in a recent survey that they would consider making a run for it if they had to wait too long at any given point of the payment process. 36% of diners say waiting for the bill is the most frustrating aspect of the experience. 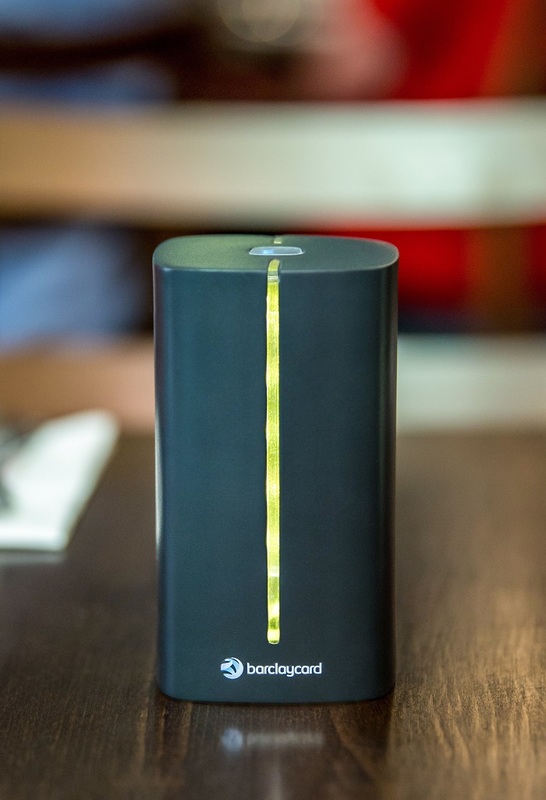 I recently had the opportunity to see the pre-release Barclaycard “Dine and Dash” demo at a Prezzo restaurant. It is a brilliant concept – diners can sit down, tap their phone to a table top device and then view the menu, order their food, view the bill, split the bill, auto-calculate the tips and pay the bill all on the app. Or they can just walk out of the restaurant and the bill would be paid automatically. And best of all, it is not restricted to Barclaycard customers – anyone can download the app and use it. Although not a big fan of adding new physical things like the table top device in the payments process, this is a big step in getting customers to think of paying bills in a completely new way. 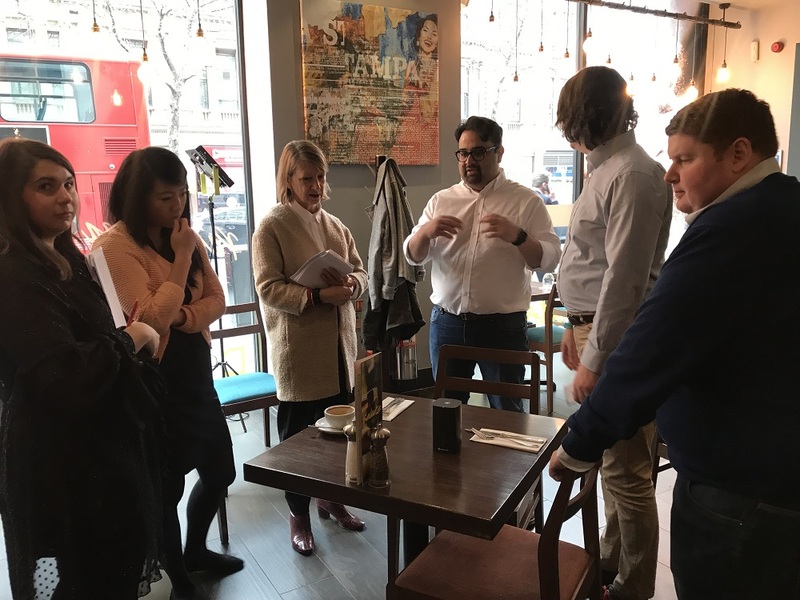 The fact that Barclaycard is trialling this in one of Prezzo’s busiest restaurants anywhere is also significant – it shows that the value from “Dine and Dash” is not just for customers, but significantly so for restaurants. The digital process helps improve turnaround times for tables, seat more customers quicker, ensure a better experience while in the restaurant, and also become aware when diners walk out without paying. If connected to the device, the bills are automatically paid when the diner walks away for longer than five minutes. The erstwhile “dine and dash” may cease to exist soon. And there is no extra technical integration needed to make all of this happen. A quick google search tells me there are similar products out there in the market, but as a not-so-regular diner, I was not aware of any of them in the UK. I had not considered using any of them until I saw the Barclaycard device in action. Now I am hooked and want to try this out every time I go out, if available in my restaurant of choice. It’s fantastic to see how small steps in innovation can change behaviour so significantly. As I do not carry cash anymore, I have almost taken to using Uber exclusively instead of black taxis. And this may soon happen for dining as well! It’s great to see large financial service firms stepping up to make our day-to-day lives better instead of providing innovation through proprietary products and proprietary channels. The gap between desire for convenience and technology capabilities is fast reducing in the UK as it increasingly turns into a cashless society, and it’s exciting to see new offerings emerging to further close that gap. However, as we all know, the UK customer is extremely demanding and we need to see how well they react to a new digital process! Watch this space! Launch partner Prezzo to host solution in London restaurant.